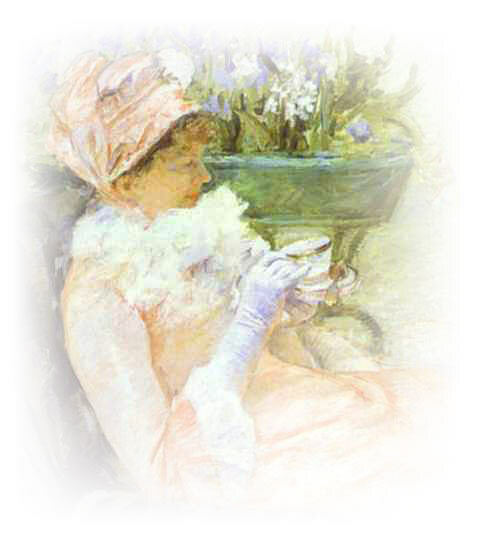 Ill with Bright’s disease and conscious of her approaching death, Lydia Cassatt contemplates her world with courage, openness, and passion. As she addresses and comes to accept her own position as her sister’s model, she asks stirring questions about love and art’s capacity to remember. 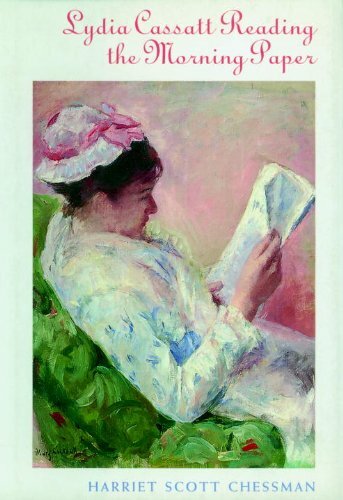 Lydia Cassatt Reading the Morning Paper has been translated into six languages. It has been published in Australia/New Zealand, France, Greece, Italy, Korea, Spain, Sweden, and the UK. As May begins to put away her brushes, I catch one more glimpse of the painting. The blood-red leaves lead to the dark windows, the red (heart’s blood) on my dress a sash, a slash. How can May paint such darkness? Maybe it’s this talk about nunneries, but I feel a yearning for some sign – of grace, of a future life that holds more than darkened windows. Why should it be only Catholics who see such signs, like the girl who had the visions at Lourdes? I would be grateful simply for a dove, winging its careful way out of the sky. In the face of that wish, my own world seems suddenly spare and stoic and Protestant. “Do you love him?” I ask her, as the shadows grow blue around us, once Degas has left on the train. It’s August, and the air’s still hot from the day. A scull passes on the river, with swift, long strokes, as the blade slices into the water again, and again. “Oh, well.” I can just see her shrugging, tossing her hands into the air. “Do you?” I ask again. She hugs her elbows, and looks at the water, and then she come closer. “Then what in Heaven’s name are you thinking?” I ask in anguish. “I can’t say what I’m thinking, Lyddy, but I can’t bear to feel I can’t have this in my life, ever. This is not Philadelphia. Am I to live with no feeling, like — ?” Like you, she almost says, and I feel the cut of her words against my face. “I’m not asking you to live with no feeling, May,” I begin, and at once I’m aware how my own life must look in her eyes, a desert, parched under a hot sun.